The Lenovo IdeaPad Tablet K1 is now available in the U.S. with a price tag of $499.99 for a 32GB version. It is an Android powered tablet, which is having all the notable mid-to-high range specifications, and up-to-date hardware. Lenovo IdeaPad K1 tablet comes with the tablet optimized operating system Android 3.1 Honeycomb OS, packed with Nvidia Tegra 2 processor clocked at 1GHz speed, sporting a 10.1-inch 1280*800 resolution screen, boosted with 1GB DDR2 RAM. Moreover, it has HDMI port, full-size USB port, full-size SD card etc. In terms of all aspects, it’s worth owned. This wonderful tablet also supports 1080p HD video playback, our common videos can be played well. But this tablet doesn’t have disc drive, so our DVD disc movies can’t be played by it. For this problem, we need a professional video tool to deal with. Below is the operation steps about converting DVDs to IdeaPad K1 for full screen playback by using Pavtube IdeaPad DVD Ripper, for your refenrence. 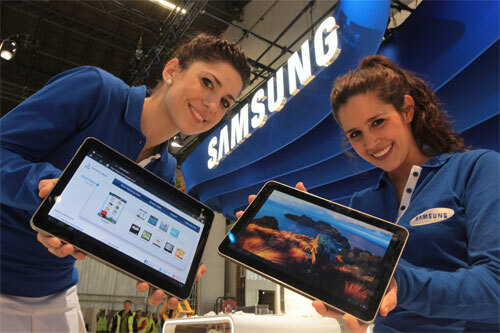 Samsung Galaxy Tab 10.1 is really a powerful rival to Motorola Xoom. It also features a 10.1 screen and supports 1080p video playback. 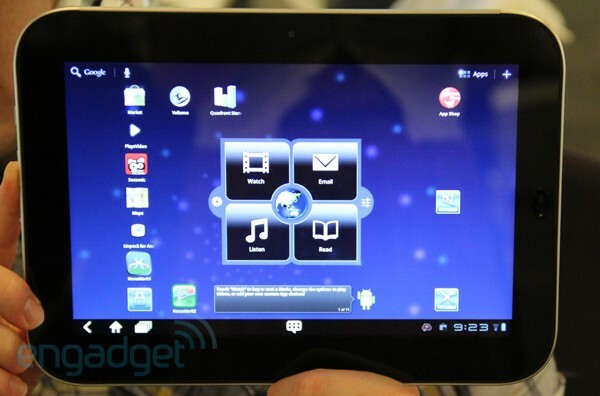 In addition, the Galaxy Tab 10.1 has equiped with Android 3.1 system. With this big screen tablet, playing movies is really a pretty good thing to kill time. This article will talk about how to put DVD movies on Galaxy tab 10.1. Besides, i also share something about how to get full-screen playback. Compared to TV, the screen of tablet is still small, so we hope all the screen for movie and we want to remove unnecessary black border. How to realize it? Just follow me. How to get full screen movies? This is a question that most of my friends asked. As an apple fan, you may once met this problem. The black borders really affect our viewing. There are two reasons why movies with black borders. The first reason, many wide-screen movies have black padding added in order to make the actual video portion have the specific DVD resolution, in other words, it’s just for conforming with the DVD standard. Another reason, When you watch a widescreen movie on a device that has a different aspect ratio than the actual video has. In this case, How to get rid of the black borders? There are two ways i once tried. But at first, we should to figure out what we need. * A PC with windows or mac system is ok.
* Make sure Apple iTunes installed on your PC. * iPad 2 and its USB cable. The Samsung Galaxy Tab is an Android-based compact tablet computer. It features a 7-inch (180 mm) TFT-LCD touchscreen, Wi-Fi capability, a 1.0 GHz ARM Cortex-A8 (“Hummingbird”) processor, the Swype input system, a 3.2 MP rear-facing camera and a 1.3 MP front facing camera for video calls—running the Android 2.2 (Froyo) operating system. Most tablet fans consider Samsung Galaxy Tab as the major competitor to iPad, it is definitely another good choice to enjoy DVD movies on Samsung Galaxy Tab. The stunning 1024 x 600-resolution LCD is perfect enough for watching DVD movies. But the Tab has the same problem with iPad that there is no built-in DVD-ROM or DVD player in it so you need to look for a DVD to galaxy tab converter. 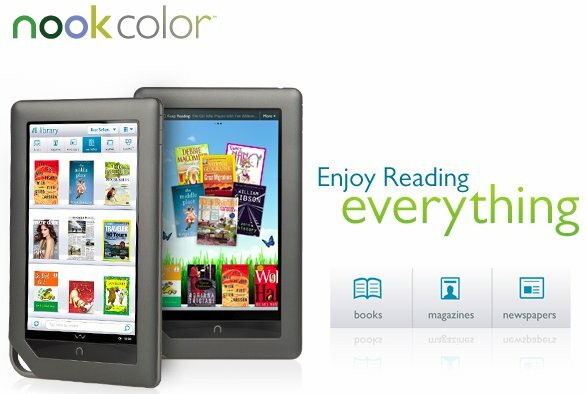 Nook Color is just one great android tablet, Although we know it as an e-reader. Using the android 2.1 system, features Stunning 7-inch color touchscreen, built-in Wi-Fi, 8GB onboard memory, plus microSD expanision slot. It also can display images and some video formats. It’s such a powerful e-reader that we never seen. We can play movies on nook color, So if you are on the plane, train and other transports. It’s a nice way to kill time. But most movies are stored on DVD discs, we must copy DVD movies out and convert DVD video to nook color supported formats. With its 7-inch color touchscreen, we can’t accept it play movies with Black border. Now, i will talking about my own experience on playing DVD movies on nook color in full screen. Mp4 is a multimedia container format standard specified as a part of MPEG-4. It is most commonly used to store digital video and digital audio streams, especially those defined by MPEG, but can also be used to store other data such as subtitles and still images. It is so common and most portable device support this format. Such as iPad, iPhone, Xoom, Nook Color, Galaxy tab etc. As a movie fan, you may have a lot of DVD discs, but most portable device can’t play DVD disc. For more enjoyment, you must rip and convert DVD file to mp4 for viewing anytime anywhere. Today i will share you the best way to watch mp4 file on Nook Color. 2011 is the year of tablets. Among all the tablets, Motorola XOOM has became a powerful rival to iPad 2 and HP TouchPad. This based on its powerful features, a super-fast dual-core processor and Android 3.0 system, both front and rear-facing cameras, a camcorder and Adobe Flash Player in 10.1-inch widescreen with 1280 x 800 pixels resolution. Since Xoom tablet supports playing 1080p HD video, there will be more enjoyment to watch films on xoom. Here we are talking about how to rip your favorite DVD video to xoom with a CUDA DVD to Xoom converter. Among all the DVD converters, Pavtube DVD Ripper is an excellent one. It’s easy to use and professional in converting DVD to MP4 compatible with Motorola XOOM. With its NVIDIA CUDA technology, you are able to easily convert DVD at a fast speed. First: Run Foxreal DVD Ripper as the powerful DVD to xoom Converter, and load your DVD files into it. Second: Choose the best HD video format to Xoom. Click on “Format”and select “Android < Motorola Droid (X) H.264 Video (*.mp4)”as the output format. Click on “Settings”to adjust parameters of video/audio to get the best video format for Motorola xoom. And the Video H.264 (*.mp4) at 1500 bitrate and 23.97 frame rate with 1280*800 resolution is recommended here. Third: Start DVD to Motorola Xoom conversion by clicking on “Convert” button. After the conversion is completed, you could get the ripped DVD file from its default folder by clicking on “Open”button. Fourth: Put DVD movies on Xoom tablet via USB. Then you can play DVD movies on Xoom in full screen. Hope this article on how to convert DVD movies to Xoom will help you! Have a good time! It’s wonderful to enjoy movies on iPad, because it’s so portable that we can take it anywhere, but the iPad supported formats are limited , let’s have a look!